Presidential Communications Operations Office Assistant Secretary Mon Cualoping made some headlines on social media after his heartfelt birthday message to Pres. Rody Duterte who is celebrating his 74th birthday today went viral on social media. ASec Mon Cualoping posted a photo of Pres. 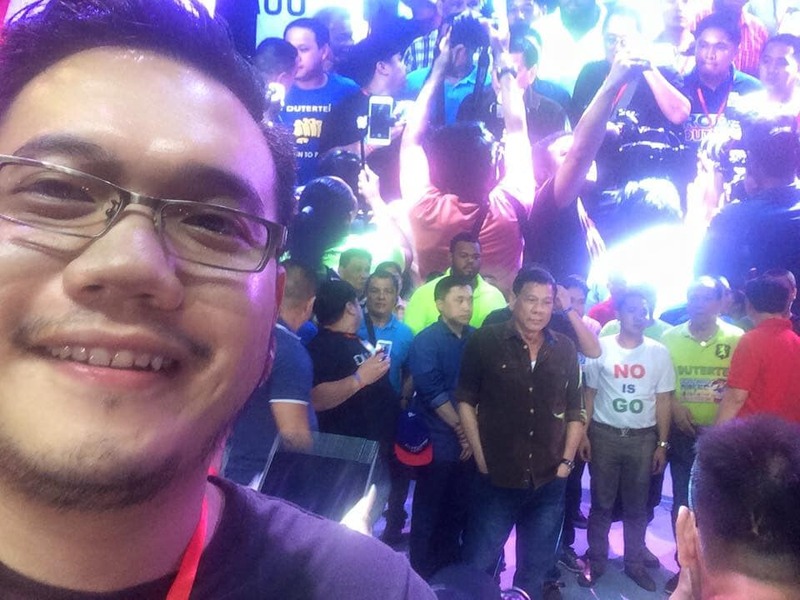 Rody Duterte took last November 29, 2015 in Taguig City wherein the former Mayor of Davao City made the announcement to run for President in the presence of hundreds of thousands of his supporters. The birthday greetings of the PCOO Asec caught the attention of netizens and some prominent blogger as they shared his message of inspiration that despite waging a big battle through grassroots and volunteerism, the voice of Mindanao, the voice of Bisaya and the voice from Davao conquered Malacañang. The Filipino people were able to achieve such peat because of the promise of genuine change, of leadership for a comfortable life for all. On November 29, 2015 - my Mayor, the great man from Davao City declared that he was running for President of the Philippines. I was on that stage when he made that historic announcement in Taguig. I was there. I was there from the very start! This is loyalty. Not blind but faithful. That declaration changed the course of Philippine history. Mar Roxas, Grace Poe, Jojo Binay suddenly became tail-enders of someone whom the Ateneo de Manila University and its countless rabid alumni hate. We waged a big battle. Grassroots. The voice of Mindanao. The voice of the Bisaya. From Davao, we conquered Malacañang. That was May 9, 2016. Why? The promise of genuine change, of leadership for a comfortable life for all. 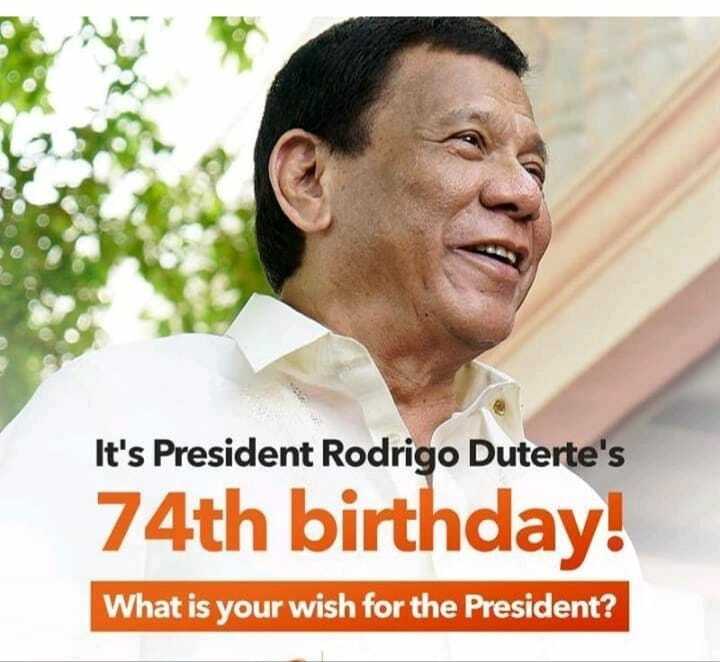 Today, he is the oldest President of the Philippines. He is being attacked by that lady from Naga, the lies of her comrades of the Opposition. Disheartened, we are not. The glory, the beauty of a better Philippines is in sight. I am extremely honored that in this life, I have been given this opportunity to help communicate the agenda of the greatest President of the Philippines as an Assistant Secretary in the Presidential Communications Operations Office. The heartaches. Most importantly, the blessing to serve alongside one of the greatest leaders of the world. I have known no other Mayor my entire life when I was growing up in Davao. I have known another great President in Gloria Macapagal Arroyo, whom I consider as a mentor. But nothing beats the will of the People. And that is Rodrigo Roa Duterte. Happy 74th birthday, Mr. President. As you always say, may you live a thousand more years. Daghang salamat sa tanan. Naa mi pirmi sa imong likod. Ikaw ang among Tatay Digong. Para sa Pilipinas! Padayong lang! Mabuhi ka! Mabuhay ka! Happy birthday, Mayor!